My resolution for 2012 is to make time for me. To transition from a Martha (a constant doer) and become more like Mary (content to be present in the moment). Not only does this require a change in mindset, but for me, it also requires a change in schedule. I was granted a sabbatical from one of my classes this semester which translates to leaving school by 2:00PM each Monday, Wednesday, and Friday (typically I would stay until 4:00 or 4:30) and to have Tuesdays and Thursdays off. As I mentioned in an earlier post, I want to use Tuesdays as an at-home work day (catch up on lesson plans, grading, and correspondence) in order to give myself Thursdays to focus on spiritual renewal and creative endeavors. After reading Jennifer Louden’s book, I became inspired to set aside a portion of each Thursday to relax with purpose in the form of a private retreat. Today is my first retreat. But as is my typical MO – I have spent far too much thinking about the “perfect” first retreat: so many options and such a great desire to make every minute count. Apparently the Martha in me runs deep. But in thinking through the options I have come to discover (or rather admit) that I am an academic. I love to learn. And I am energized when I am researching a new subject. So it occurred to me that if this is truly what feeds my soul, why fight it? The three subject areas that fuel this desire are travel – writing – and photography. And I am consumed by the idea that I can marry these three interests into one life long hobby. I find such pleasure in planning a trip – and sometimes I enjoy the anticipation more than the actual vacation. I have a burning desire to not only visit Europe, but to return to a few select locations multiple times. I want to experience being a true part of that culture and not just a one week visitor. I have several books on London (where I have been twice), Paris (where I have been three times), and Italy (where I have yet to visit). How delightful it would be to spend a few Thursdays as an armchair traveler to any of these destinations. I am currently taking Dave Fox’s online travel writing course, which will allow me to revisit my summer trip to Paris. I journaled about this trip on this blog, and I am now ready to take these “immediate” drafts and put them into more cohesive essays. I find that a few months’ distance provides a new perspective and some hidden insights. 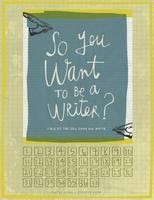 I am also tempted to register for Patti Digh’s new online writing course: VerbTribe. Two years ago I read her book, Life is a Verb, and actually developed a few writing prompts that I shared on this blog. I like her writing style and her outlook on life. I like her sense of humor. I would imagine that she is a very kind and compassionate teacher who would encourage students rather than discourage them. I just don’t know if I should add the class to this semester’s schedule where I am supposed to rest and relax. Would that be another Martha move? My photography obsession is slowly transitioning from head knowledge to practical application. There is something within me that prevents me from just going out there and taking pictures. Probably that perfection gene that I just can’t seem to shake. But the 365 project is helping a little bit – and the Find Your Eye course is teaching me how to see the world up close and personal. I have also registered for the Slice of Life project that will begin in early February. Yes, I even pursue the creative subjects with an academic mindset – but I am learning to accept it. 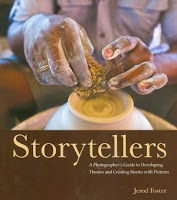 I recently found a book that I think I need to add to my personal library: Storytellers by Jerod Foster. How serendipitous is that? A book about photography that teaches me to view the picture as a narrative story? If that doesn’t sound like the perfect marriage of writing and photography, I don’t know what is. So while it is nearly 9:00AM and I am still not exactly sure how I will spend this retreat Thursday, I do have a direction. And I am excited to see where the journey takes me. That sounds like a blast of a plan! I often spend my days off wringing my hands and thinking… what should I do, what should I do? And then wasting much time. Good luck with all your time! It sounds awesome! With so many interests, I can see why you have trouble deciding. I wish you much luck with your retreats. You are so organized. I'm more of a wing-it kind of person. I really admire your approach. Hooray for your retreat day! 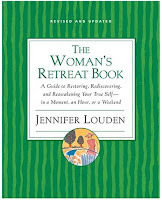 And for the great book suggestion – I'm so enjoying the Woman's Retreat Book. Sounds like you had a great day – love the poems you've shared. Two favorite writers of mine:) Very inspiring!